53112 leads Tyseley set 801 round the sharp curve into Barnt Green station on 4 July 1987 with the 08:10 Redditch to Four Oaks service. 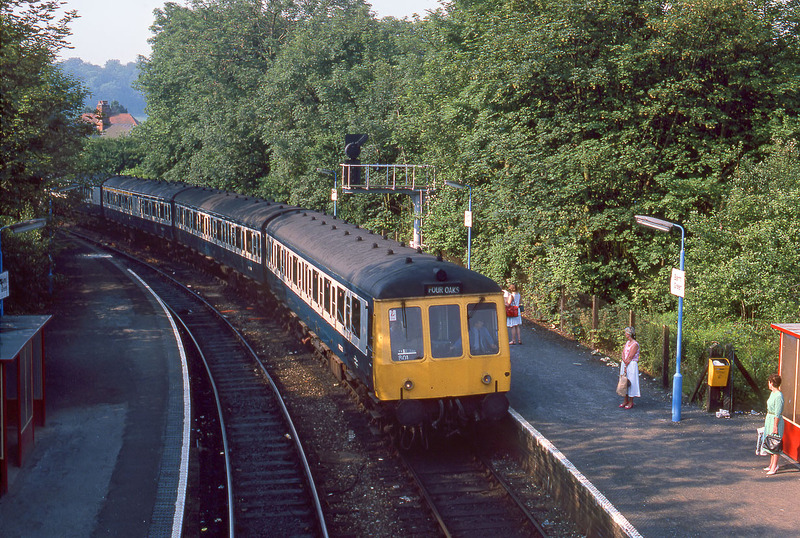 This view has now changed considerably, with the line being electrified in 1993 and the replacement of these heritage units with the new Class 323 electric units, although not before some older types EMUs were used due to teething problems with the 323s. 53112 was withdrawn a few months after this picture was taken and cut up at Vic Berry's at Leicester virtually straightaway.